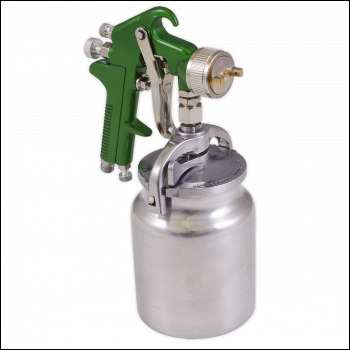 Professional suction fed spray gun, ideal for automotive refinishing. Two-stage trigger control and 1000ml aluminium suction feed pot. 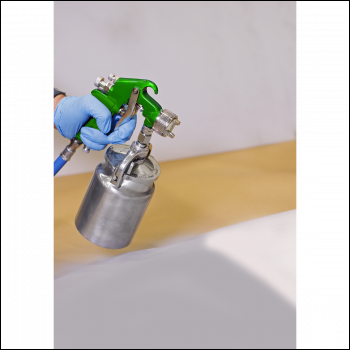 Adjustable spray width and fluid flow. Supplied with a 2.5mm set up. Maintenance tools supplied. 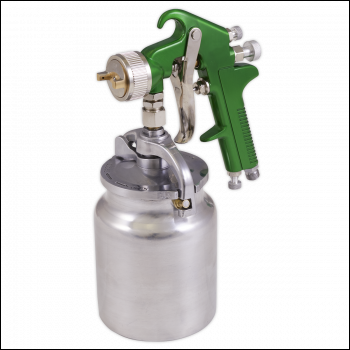 Professional suction fed spray gun, ideal for automotive refinishing. 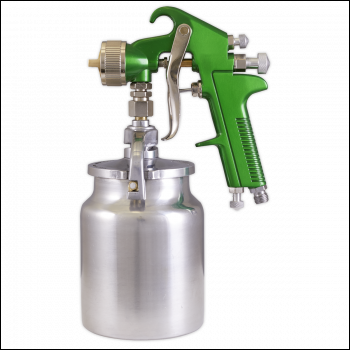 Two-stage trigger control and 1000ml aluminium suction feed pot. Supplied with a 2.5mm set up.